We're Back in the Park! 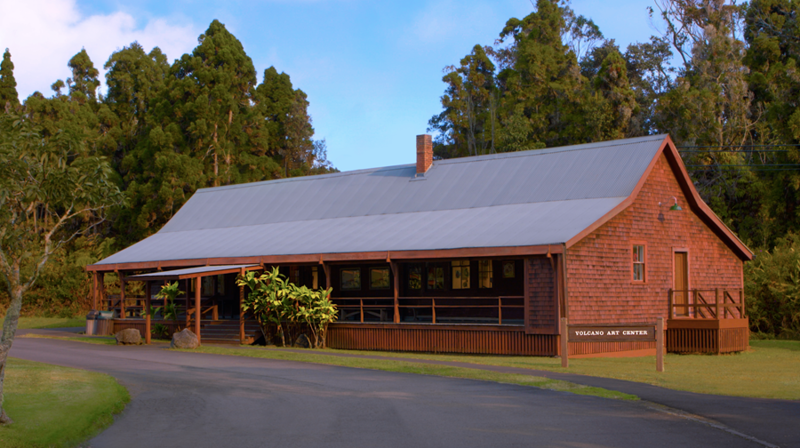 Volcano Art Center is thrilled to announce the reopening of our Gallery in Hawai‘i Volcanoes National Park this Saturday, September 22! Come visit us tomorrow and celebrate the reopening of our beloved Park & Gallery! After September 22, we will resume regular business hours of 9am - 5pm daily. VAC is grateful for our artists, volunteers, and benefactors for your tireless support during these challenging months. Mahalo nui loa -- you've really helped pull us through! For those who are unable to celebrate with us in person, you can shop our fine art gallery online at https://volcanoartcenter.cmail19.com/t/r-l-jjddilx-huiklytjs-j/. Click or tap to follow the link. ">www.volcanoartcenter.org/shop & use coupon code, backinthepark for 15% off your online purchase! This offer is valid for online purchases through September 30. Our Ni‘aulani Campus in Volcano Village will continue to display a limited number of gallery items, while also offering a wide array of classes and workshops. We're also excited to announce the opening tomorrow evening of Ken Charon's retrospective exhibition at Ni‘aulani, "One Lucid Dream."